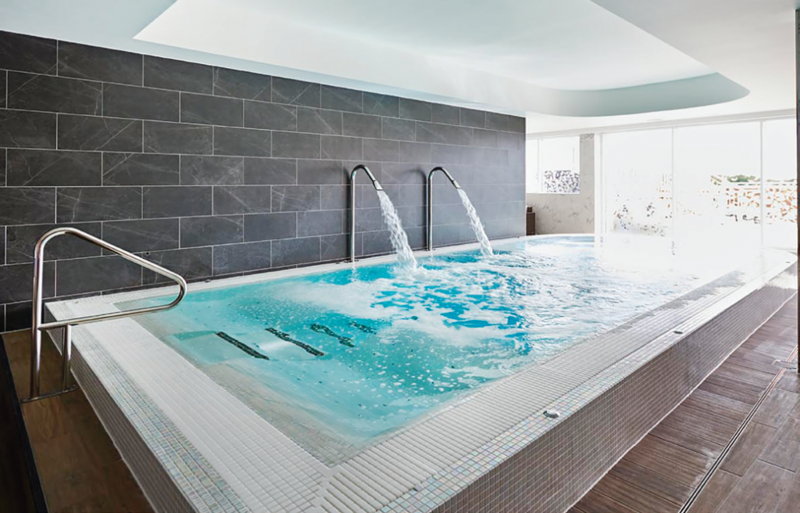 Already a formidable name in the delivery of swimming pools, sauna and steam room projects, BOS Leisure has evolved to deliver some of the highest quality and largest commercial spa projects in the UK. The team is also revelling in an outstanding summer season for hot tub and swim spa sales with turnover up by 50 per cent so far this year. Located between Bristol and Bath, the showroom offers a comprehensive range of Marquis Spas models on display, from four-seater domestic hot tubs to bespoke hydrotherapy pools. In the domestic range, the company’s bestselling models are the Marquis Epic, due to its unrivalled hydrotherapy massage jets, and the Marquis 545, which is renowned for its premium quality and value for money. The team is confident that the new Marquis Vector21 Series, with remodelled jets, seats and design, that was introduced just this year, will also be extremely popular. “The Marquis Spas philosophy of providing the highest quality product, combined with great service resonates with the Bos Leisure ethos,” says Managing Director Martin Ursell. 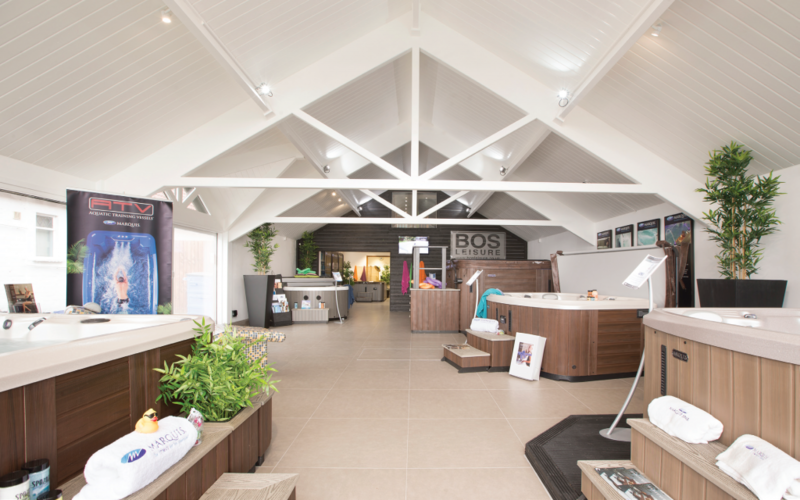 BOS Leisure has evolved to deliver some of the highest quality and largest commercial spa projects in the UK. Martin Ursell is supported in his role as Managing Director by a sales team, a service department and a commercial contracts team. The in-house designer and CAD specialist are also important members of the team, as is the accounts department and the IT support team, who also run the highly successful and popular online pool products store www.poolmarket.co.uk. “Due to our range of products and services, we are fortunate to have a wide and diverse client base, from local customers who have used our service engineers for over 30 years, through to large commercial clients, who use us to ensure their spa and wellness facilities are at the cutting edge,” says Martin. “We are fortunate that we are able to offer our customers a one stop shop. Our ability to take a project from initial design, right through to final commission and ongoing service, enables an unmatched level of quality and design control.” BOS Leisure always has exciting projects on the horizon. Most recently the company has been involved in the installation of the spa facilities at the new Gaia Spa at Borringdon Hall in Plymouth. The spa, which opens this summer, will be the largest spa opening of 2016. Currently the team is working on the Thames Lido project, which will see Kings Meadow Swimming Baths turned into an outdoor swimming experience with a pool, spa and restaurant. The team has also begun work on a new, state-of-the art, 25m competition pool at Exeter School. “Year on year we surpass our achievements through our constant endeavour to push the boundaries,” says Martin.